Musical Youth were a group like no other when they came on the scene in 1982. I was only six at the time, but remember it like it was yesterday. Originally from Birmingham the group was made up of two sets of brothers, Kelvin and Michael Grant and Junior and Patrick Waite, and lead singer Dennis Seaton. They were also all very young, I think the oldest member was about 16 and the youngest about 11! A ‘reggae pop group’, they played instruments and were pretty adorable-looking, in their trademark denim, and trilby and beret hats. Also their songs, as catchy as they were, often had a bit of a social message to them. e.g. Youth of Today. Pass The Dutchie was the first single from their 1982 debut album The Youth of Today (MCA). Funnily enough, even though most kids (like me) had no idea at the time, the song was a cover of a track titled Pass the Kouchie (by Mighty Diamonds), and was about smoking weed. However, for the Musical Youth version the lyrics were changed to make it more P.C and a huge hit was born. The song went to number one in the UK and Australia, and various other countries around the world. It also reached the top ten in the US Billboard charts, sold a whopping four million copies, and was nominated for a Grammy Award. The Youth of Today produced a handful of other singles including Youth of Today, Rockers and Heartbreaker, and sold 18 million copies worldwide. The group released their second album Different Style (one of the first albums I bought, well my dad bought it for me) in 1983. Recorded in L.A, it had more of a disco feel and featured guest appearances from dance divas Donna Summer and Jody Watley. It also contained material written by music legends Eddy Grant and Stevie Wonder, which illustrates their popularity at the time. But unfortunately none of this was enough to make the album a success and despite catchy singles such as Tell Me Why and 007, it failed to live up to the achievements of their debut. The group eventually broke up in 1985, when Dennis decided to embark on a solo career. With their video Pass The Dutchie, Musical Youth were one of the first black groups to appear on MTV. Patrick Waite died of a hereditary heart condition in Birmingham in February, 1993. He was awaiting a court appearance on drug charges at the time. A few years after this Junior suffered from a nervous breakdown, while Kelvin has also found it hard adjusting to life after fame. Musical Youth still perform, but now as a duo, featuring just Michael and Dennis. Check out the video for Pass The Dutchie below, and don’t forget to leave a comment about your memories of the group! INTERVIEW WITH DENNIS SEATON – conducted 23rd March, 2010. You grew up in Birmingham, what was your early life like? My early life was more about football and cricket and a bit of music as I played Joseph in a school production of Joseph and his Techni-coloured Dreamcoat. 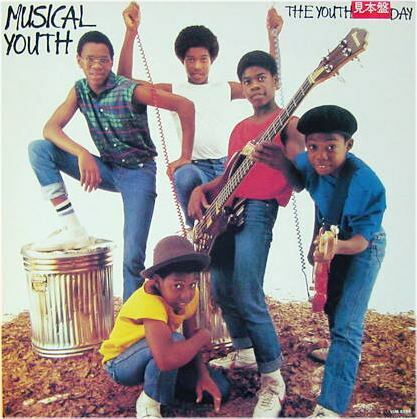 What was the journey of Musical Youth, from first getting together to having the number one single with Pass The Dutchie? The band started out with Junior (13), Patrick (12), Michael (11), Kelvin (9) and Fred Waite (35). They rehearsed in Fred’s living room for the first 9 months and then progressed to a rehearsal room at the Saltley Music Workshop. It was at the Saltley Music Workshop that the band recorded its first single Political & Generals. The record was played by John Peel on Radio 1 and it was heard by an A&R guy from A&M records; he got in touch with the band to see who they were. After seeing the band at a gig in Coventry the A&R guy decided that he liked the band but they had to change the lead vocalist, due to his age. I joined the band in the middle of 1981 and it was only after another showcase with me as lead vocalist, the band were signed to MCA Records (now Universal). Pass the Dutchie was chosen as a single after the band supported Culture Club at a club called Heaven. It was recorded in the August of 1982. Which musicians did you admire growing up? The musicians I admire are Bob Marley & The Wailers, Stevie Wonder, Steel Pulse, Aswad, Black Uhuru, Dennis Brown, Gregory Isaacs, Michael Jackson, John Holt, The Specials, The Beat, Skatellites, Jackie Mittoo, Sly & Robbie, Jacob Miller, Freddie McGreggor and Third World. What was it like having that sudden fame at such a young age? Well the difference that it made to our lives is still with me to this very day some 27 years later. We were now known throughout the world for the song which defined the band which gave us global recognition. Pass the Dutchie gave the band success beyond our wildest dreams and we got to travel first class on aeroplanes, meet very famous people and live like rock stars. What do you think it was about Pass the Dutchie in particular that touched people so much and made it such a huge global hit? If I could explain this then I would get the formula and sell it for millions of pounds!!! It is one of those songs that just has such a unique sound that people just love the song. Did the friendships/dynamics change within the group after you experienced success? Yes friendships did change but only because we were all getting older and outside influences also came into play. For example when I got saved my outlook on the band changed for the better, and I didn’t see the band as my be-all and end-all. It didn’t mean I wanted to leave, but my outlook was different to Junior and I went and studied acting for two years. In terms of the dynamics, with every band there has to be a spokesperson and for Musical Youth this was Michael and Junior. They represented the band. Nothing to do with favouritism, it was just easier to share the interviews amongst band members. Whilst we were a band we were also 5 individuals, but Junior was the leader of the band musically because he picked up the mantle from his father Fred. As young performers in an adult world (world of showbiz), were you exposed to the trappings of fame, and did it have nay affect on you or the other members of the group? We had no choice because the band was so successful that we had all the trappings of fame, apart from when we were home in Birmingham as we were able to carry on with our normal day-to-day lives. I would be lying if I said there wasn’t any girls as this goes with the territory, as for drugs well it is quite clear that Patrick was smoking weed in his own time but never around the band. This didn’t affect the band until he was admitted into hospital for an unknown substance. The only negative affect it had on the band is that Patrick had to spend some time in rehab which stagnated the band’s tour of the Caribbean. The whole band was able to deal with the situation in a mature way but we were never the same after his returned because you weren’t sure if Patrick would lapse and unfortunately he did after the band had disbanded. You went to the US to record your second album and worked with some fantastic people. What was that like? Recording in the US was great fun as we managed to get some top musicians to play on the album. We had Wah Wah Watson, Hawk Wolinski (he wrote Ain’t nobody for Chaka Khan), Donna Summer, Irene Cara, Jodie Wotley and the Motown songwriting legend Lamont Dozier. Why did the group break up? We never broke up it’s just that we got older and all wanted different things. I guess when Patrick passed away we lost the opportunity for the five of us to work together again. 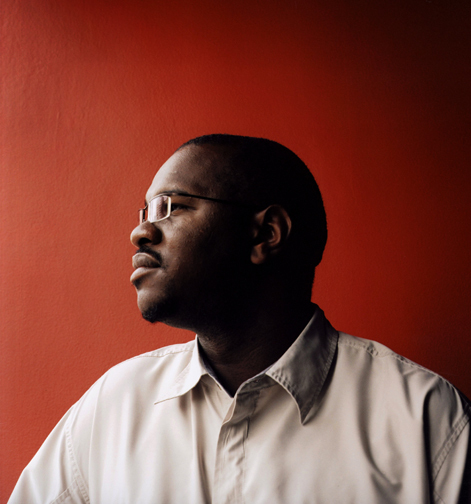 Patrick passed away from a rare heart condition having spent 18 months in prison. Kelvin recorded an album in Jamaica but it was never released and doesn’t play music in public any more. Junior suffered a break down in 1985 and hasn’t recovered since that time. Why do you think certain members found it hard to adjust after the band broke up? When you only have one talent in life and that is hidden then it would be hard for anyone to adjust. Did you find it hard to adjust? A lot of child stars feel very vulnerable in the spotlight, did you have family or a team of people to protect you in certain situations, or looking back now, do you feel like you could have had more of that back then? This is a very good question. I found it very easy to adjust because I gave my life to Jesus Christ the day before my 18th birthday so this is what got me through the darkest times. My family were a fantastic help because they cushioned the financial adjustment. We could have definitely benefited from more help with all the legal stuff, as the lawyers we had did not help us when we stopped performing. Did you make much money from the group? Was your financial well-being looked after properly while in the group? Collectively the band did very well but then after paying managers, legal fees and 45% tax we could have done with a little more help in this department. But then when you don’t get paid any royalties for 18 years is does make you wonder what kind of people you are dealing with. This happened because the record company exploited our demise. We have since sorted the situation, but it doesn’t make right what was allowed to happen for so long. You reformed Musical Youth as a duo a few years back with Michael, are you still actively performing? Michael and myself perform as many times as we can and since we have started performing together again, we have toured the west coast of America, Slovenia and the Netherlands. We play at Butlins for their 80s weekends and have a brilliant time. This year we are doing even more shows including the Reggae Vibe Festival in Skegness on the weekend of the 16th July. What are the memories of your hey day like? I have very positive memories of being with my fellow band members as Musical Youth was a very successful band both here and around the world especially in the United States, Africa and the UK. Do people still recognise you in the street? Some people do but I never look for people to recognise me anyway; if they ask I will tell the truth. What do you think of a lot of the young UK artists today? Today’s young UK artists have it harder than ever to maintain success. My personal thoughts are that the black British artists don’t stay with their labels long enough to develop their careers. As for reggae artists, well it’s even worse as there aren’t any major labels signing reggae artists. We don’t have the same situation as in the US where major labels will give black entrepreneurs the financial backing to go out and find the next big recording artist. It’s a shame really because black British artists have so much more to offer, other than what we are seeing coming out of X-Factor!!! R.KELLY - WIN UK CONCERT TICKETS!!!!!!! NOT CORRECT…KELVIN GRANT IS DOING HIS NEW ALBUM AND WILL BE RELEASED VERY SOON!! !AM SO GLAD OF IT!! !AM JUST SAYING! !REGARDS FROM ITALY. 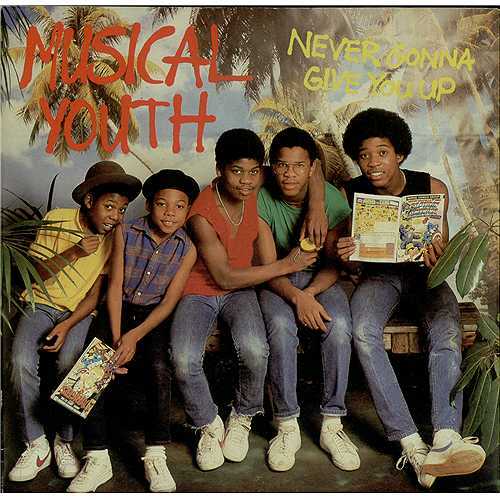 Actually, Musical Youth were the FIRST BLACK ARTISTS to be played on MTV, even before Michael Jackson! Remember that "Dutchie" came out in October 1982 and Michael Jackson's first single from 'Thriller', "Wanna Be Startin' Something" was not accompanied by a video.